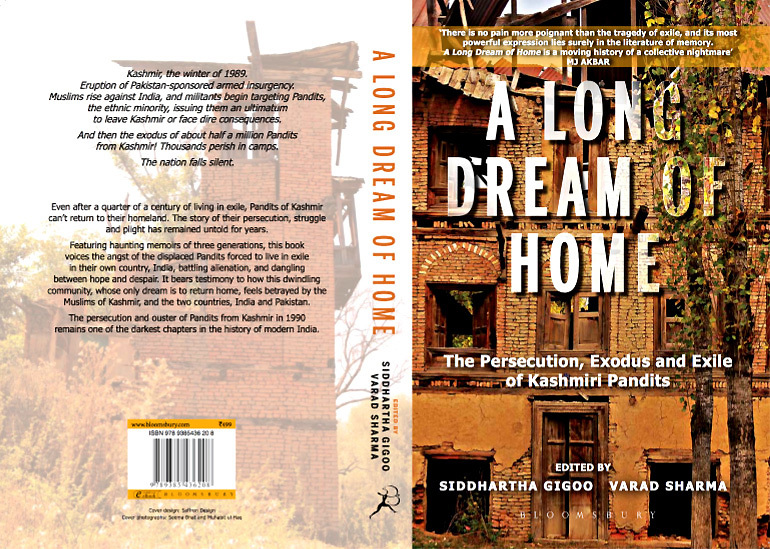 Bloomsbury India has published an anthology of memoirs by Kashmiri Pandits titled A Long Dream of Home (The Persecution, Exodus and Exile of Kashmiri Pandits). 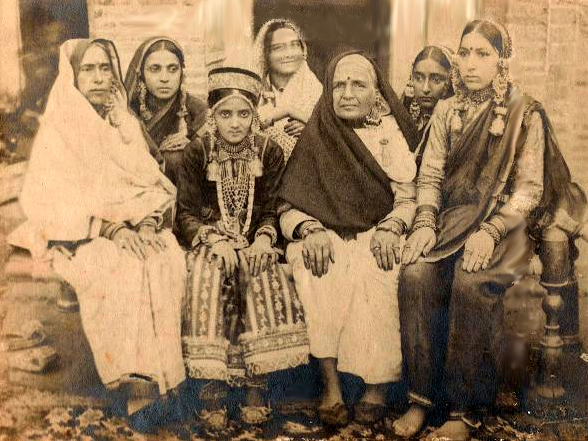 This book commemorates the 25th year of the exodus of Kashmiri Pandits from Kashmir. The anthology has been edited by Siddhartha Gigoo, author of two books of fiction, The Garden of Solitude and A Fistful of Earth and Other Stories, and columnist Varad Sharma whose writings have appeared in various newspapers and webzines. 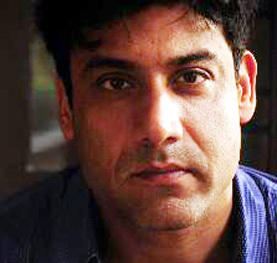 Siddhartha Gigoo won the prestigious Commonwealth Short Story Prize 2015 (Asia) for his short story ‘The Umbrella Man.’ His recent short film Goodbye, Mayfly also won the Best Short Film award at the Bangalore International Short Film festival in 2015.
insurgency that erupted in Kashmir in 1989, fled their homes and became displaced. Even today, after a quarter of a century, the displaced Kashmiri Pandits can’t return to their homeland, Kashmir. 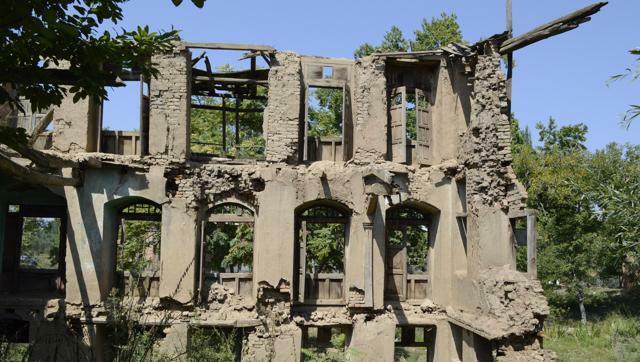 The book features photographs of the abandoned, destroyed and dilapidated houses and temples of Pandits in Kashmir, and the camps they lived in Jammu and elsewhere. The victory of Farooq Abdullah in the 1987 elections marked a turning point for Kashmir. Several parties decried the results, and campaigned for the self-determination of the Kashmiri people. The government of Pakistan gave its moral and diplomatic support to the movement, calling for the issue to be resolved via a UN-sponsored referendum. However, the government of India maintained that Pakistan’s support of the insurgency constituted “cross-border terrorism.” During the 1990s, several new militant groups emerged, most of which held radical Islamic views. In his introduction to A Long Dream of Home, editor and author Siddhartha Gigoo refers to Kashmiri Pandits as a forgotten entity in the current political scenario. Forced to evacuate the state in 1990 by Hizb-ul Mujahideen, a militant outfit, over half a million Pandits found themselves displaced in Jammu and other parts of India. This year marks 25 years since their exile. In this time, Kashmir became one of the most militarised zones in the world. 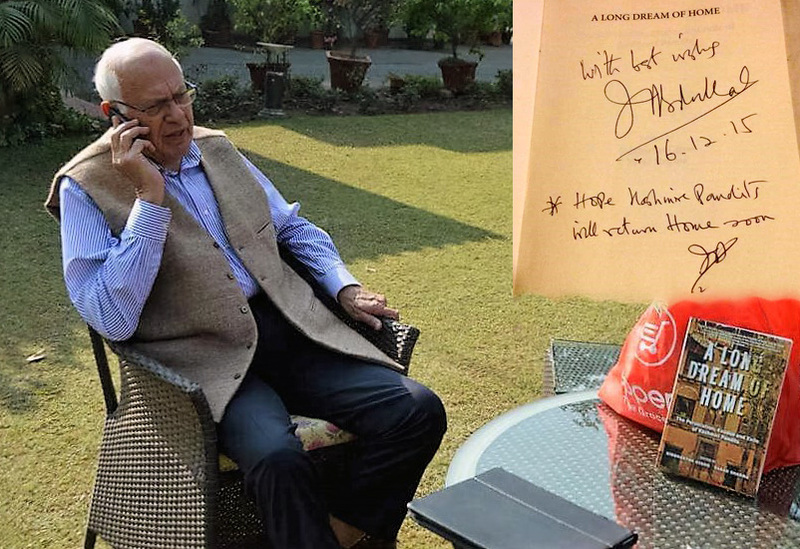 Divided into four parts, this book is a collection of memoirs of those who were born and brought up in Kashmir, those that were displaced in their youth, those born in migrant camps and finally, those that dream of returning. The story by Jammu-based Arvind Gigoo, writer and former professor of English at various government colleges in the state, titled Days of Parting, recounts the societal and political changes in Srinagar before and leading up to the outbreak of violence. In the India Coffee House “intellectuals” discuss everything. Here a political happening is “invented” and debated upon endlessly. There was a bomb blast in the bathroom of the coffee house. Discussions are going on about this blast. “This is the work of Pakistan. “This is the doing of Indian intelligence agencies.” “CIA is active in Kashmir. “ “KGB is doing all this.” “India is a strong country.” “Pakistan is no less.” “What is the Indian occupational force doing here?” Highly imaginative theories are propounded. India, Pakistan, US, USSR, etc. are discussed. Pandits say that the “Indian army is here to protect us (Pandits) and Kashmir.” Others laugh at this bomb blast of “no significance.” I am among the laughers. The words on the signboards are written in green paint. Some years ago it was the three colours of the Indian national flag. Cinema halls have been closed down. The shops which lend or sell film cassettes are closed. I give a hearty laugh. This sets me thinking for the first time. What is all this? I go there with my daughter Henna. Suddenly there is panic. People start running. There is total confusion. I lift my daughter, sit her on my shoulder and run like the others. They say even the Chief Minister left quickly. I am panting and reach home breathless. I can’t even guess. Nobody knows. I am walking through Hari Singh High Street. I hear the sound of a gunshot. People run away. I see a dead body on the road. Somebody has been killed. I walk up to the bus stand and board a bus that takes me home. Next day I get to know that the person killed in Hari Singh Street was Neel Kanth Ganjoo, a retired judge. I am in Delhi. The newspaper is very disturbing. I read and reread the news. Wife, son, daughter and I leave Delhi for Jammu. We reach Jammu on 31 January in the morning. On the Residency Road, Tej Krishen tells me: “Call your parents to this place. Don’t go there with your children.” I ask him: “What happened?” He replies: “Nothing happened. But I can’t describe the night between 19 January and 20 January. It was simply horror.” Moti Lal also says the same thing. We are on our way to Srinagar. Pandits in taxis and trucks are going to Jammu. There is one young Pandit lady in the bus. We reach the Tourist Reception Centre in Srinagar by 7 pm. A policeman doesn’t let anyone leave the premises. A State Road Transport Corporation bus comes and everyone boards it. There is one policeman with a rifle in it. Security! He asks the passengers the names of the localities they are to go to. We reach Safa Kadal in downtown Srinagar. We have dinner and then talk. Father is calm. He doesn’t say anything. A few persons shout from the mosque through the microphone and ask the people to enter the mosque. It continues till late in the night. Interrogation on the road! The same person asks the same questions to wife, daughter, son and me separately and weighs the answers. I am walking in the lane adjacent to my house. A young boy is coming from the opposite direction. He has a beautiful black and red pistol in his hand. I turn my head and ignore him. “Who is walking in the lane?” Wife and I look. Two young men are standing near the gate of our house. They share one cigarette. They walk a few steps and then come back. The two young men walk to and fro. One hour has passed. At last they go. Siddhartha Gigoo is the author of two books of fiction, The Garden of Solitude (2011) and A Fistful of Earth and Other Stories (2015), which was longlisted for the Frank O’Connor International Short Story Award 2015. 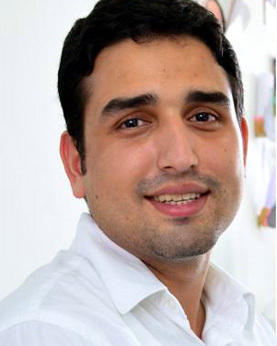 He won the Commonwealth Short Story Prize 2015 for his short story The Umbrella Man. He two short films, The Last Day and Goodbye, Mayfly were selected for various international short film festivals. 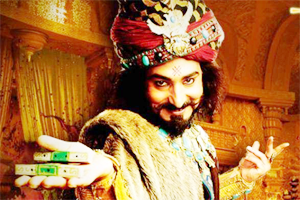 Varad Sharma writes on society, politics, books and films. 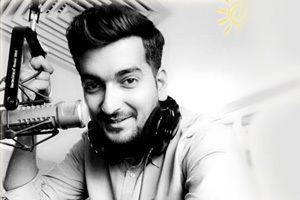 His writings have appeared in several newspapers and websites including The Hindu, Mid Day, DNA, The Pioneer, Hindustan Times, The New Indian Express, Newslaundry, The News Minute, Daily O, Niti Central and Rediff. Facebook share logos will be handy to spread messages.